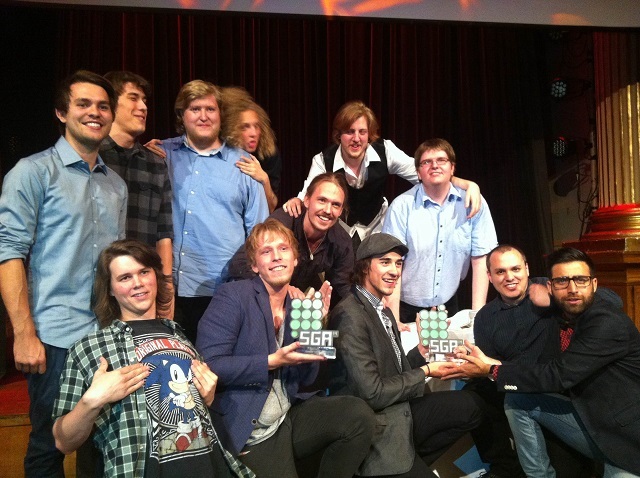 A lavish and superbly well executed gala award ceremony brought an end to this years Swedish Game Awards, with the evenings big prize won by fast paced adventure title – Defunct, which was developed by a seven person team from Gotland University. The nights festivities were billed as a celebration of all things daring, innovative and independent with six different teams sharing a 100 000 kronor cash prize and expertly helmed by William Pugh of The Stanley Parable fame. 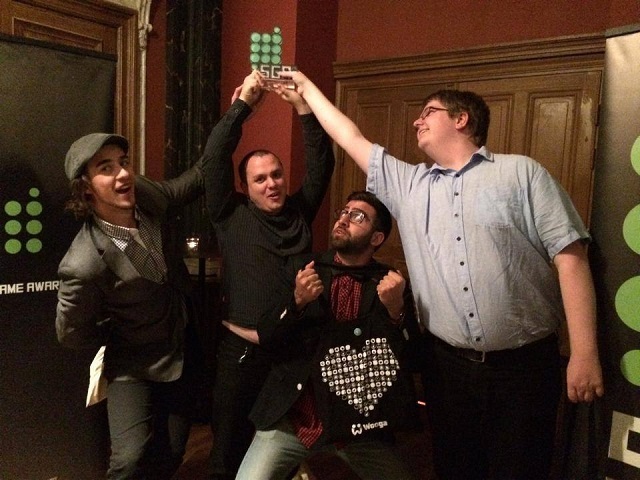 Odd Ball Entertainment took home the coveted Gamers Choice Award which was selected based on the most received votes at the nominees showcase event at Tekniska Museet on 17th June. The Swedish Game Awards will now go into hibernation before another year of creative endeavours begins in earnest later in the year. As a title with feverish atmosphere at its core, this game’s aesthetic exudes an unnerving belief in its immersive, but bleak subject matter. This is a game with a cohesive art style that elevates it from just another creepy experience with charm into an unforgettable one. Coaching from Dan Thronström, Producer at Avalanche Studios. Audio comprises one third of the sensory communication we experience with games; we can use it as a mechanism to provide feedback – to reward or punish activity. We can use it to enhance the sense of flow and connection. It can also be used to make our games come alive. That is exactly what this years winner of Best Execution in Audio achieves. Coaching from audio experts at Avalanche Studios. Office visit, lunch and coaching from production experts at Hansoft. A game that, with simple means, challenges both the player’s concentration and dexterity and rewards the player with a true feeling of achievement. Studio visit and coaching from Rovio. The winner of Best Execution in Narrative is a game where the players’ journey is first and foremost at the heart of its very design. This game is a brilliant example of the power of storytelling in our medium – one that upholds the principle of show rather than tell; it provides an immersive and atmospheric journey with beautiful cinematography and perfectly placed ambient events. The winner of best technical execution goes to a game that is very well elaborated as a whole and in detail. The smooth gaming experience is the result of a solid and stable client and the realistic physics is stunning. The developers have chosen to handle loading issues in a way that does not interrupt the immersion or flow and gives the overall gaming experience a satisfying continuity. Tailored coaching and help from King. Invite to Kings house warming party at their new office at Sveavägen in 2015. The counting of the votes yesterday revealed a close race between two of the contestants. The winning game was instantly pleasing, fun to watch and inspired people to battle it out. The game pleased visitors of all ages and the station was never quiet. From the onset, this game presents itself as a complete package and it executes expertly across the board to deliver a richly satisfying and ready for retail experience. It’s ambitious, colourful and a heck of a lot of fun to play. A legal start package and counseling from Fondia. Check back over the coming weeks for interviews and profiles with winners and everything in between regarding the Swedish Game Awards. Defunct receives 25 000 kr, not 15 000 kr which says above. Thanks for the heads up Kerstin. I made the change to the post some days ago.